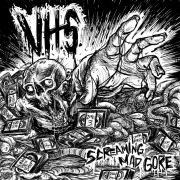 These guys are horrormovie fanatics and you can hear that in every second on this fantastic first full length album "screaming mad gore"!!! VHS are playing a mix of oldschool death metal, thrash metal, 80s hair metal, grind & punk and the result is absolutely AMAZING!!! For these guys it`s all about horrormovies, a tribute to the 80s! 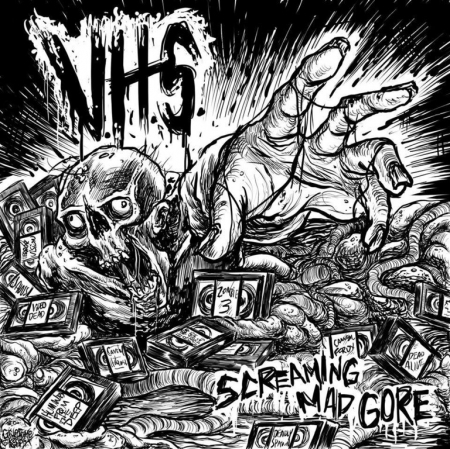 To top the already killer album, VHS could get some great sickos for guest-appearances like Stevo (IMPETIGO), Kam Lee (MASSACRE), Nev (GRUESOME GRAPHX) und Aaron Whitsell (CROPSY MANIAC) !! !